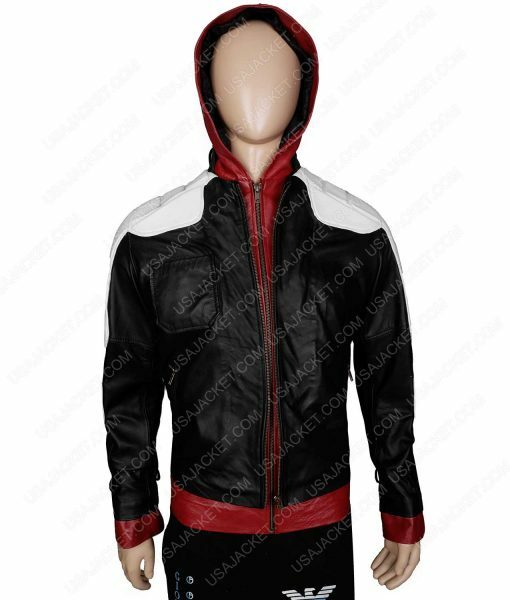 The Red Hood Jacket is a smart costume for the admirers of Arkham Knight Game. It is pretty observed and intent by the youngster for its smart structures. You can shift yourself into the Batman’s world by having on the most amazing and classy Jason Todd Jacket. 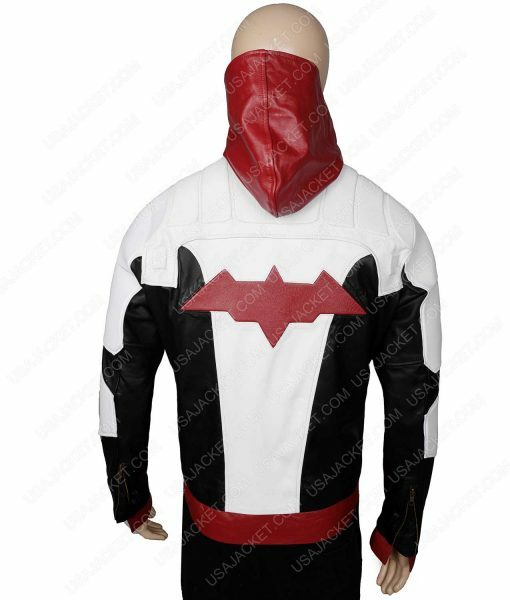 The Batman Red Hood Leather Jacket and the vest are flawless wear for any event made up of PU leather material. Jason Todd played such an exhilarating role with deep character. 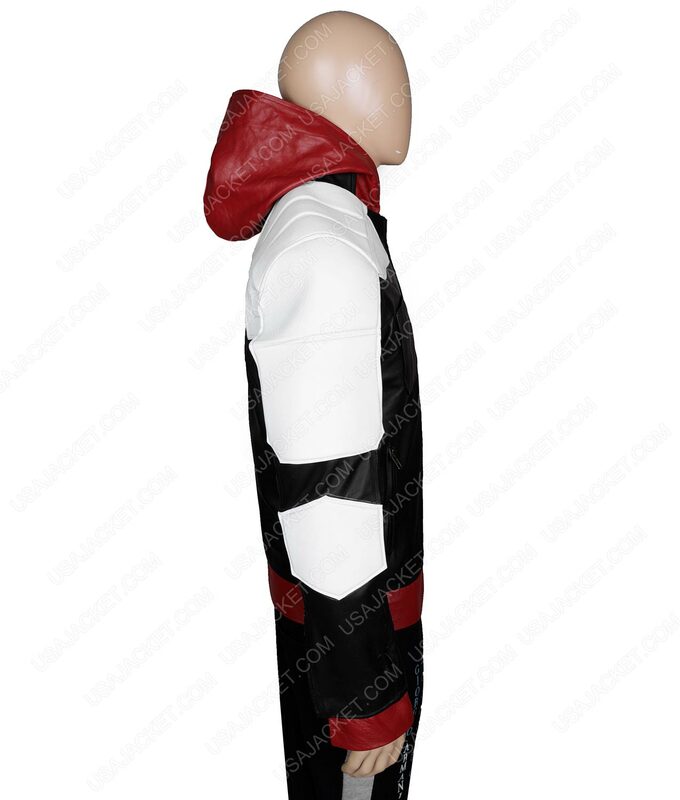 The vest is white in color with a Red Hood logo on the chest and jacket in black with a red hood is the exclusive choice you have made. Got this last week and I had to post a review last week, as i couldn’t bear the burden of sheer genuineness. But I forgot to do so… having a party at my friends place this weekend.. so I was looking for something fancy to wear and touched this tremendous outfit. Great detailing with impressive stitch network was implemented on this Arkham suit and was one of the best grabs I found recently on the internet. Neat and niftily performed stitching. I simply love it. Thank you guys for this treat. Superb and dramatic I would say. How possibly this Arkham Knight outfit could become any better?! It totally has hit the jackpot of quality and attire authenticity. Calm and Classy… dashing and edge… TOTAL CLASS! Fits perfectly on me and creates a certain aptness rectitude. YOU stand out amidst all of them. Not quite pleased I convince you that! Size is rather over the limit to my body breadth and length… fits badly and feels like it’s my future adult wear lol. Things got possibly more wrong with high long sleeves making my hands to disappear right into the outfit. It might be my mistake that I didn’t made a contact to the sales representatives on this website. Whatever the case is, Im very much dissatisfied with this Arkham jacket.